An eclectic offering showcasing some of the individual talents in Arcadia Winds. The spotlight was on the musicians of wind quintet Arcadia Winds – the first ensemble to go through Musica Viva’s Futuremakers programme – in the third concert of the Musica Viva Festival. And while the first two concerts of the Festival focused on a few larger works, this programme was more eclectic, spanning a variety of styles and instrumental line-ups. Arcadia Winds’ flute player Kiran Phatak began proceedings with Sydney Symphony Orchestra cellist Rowena Macneish and pianist Amir Farid, performing Bohuslav Martinů’s Trio for Flute, Cello and Piano. Phatak’s sound was bright and resonant, floating above the driving cello and piano in the first movement. Farid’s darkly melancholy piano opened the Adagio before an ominous flute solo – underscored by pizzicato cello – became a haunting, interweaving duet between Phatak and Macneish. While technically solid as a rock, more humour and joy could have been drawn from the bouncing Allegretto scherzando, but this was nonetheless a fine performance that brought out the clean beauty of Martinů’s writing. The remainder of Arcadia Winds joined Phatak on stage for György Liget’s Six Bagatelles for Wind Quintet, an intensely rhythmic work drawing on Romanian folk music. The ensemble hit the ground running in the fast-paced first movement with it’s chirping piccolo and mile-a-minute bassoon lines, Matthew Kneale getting a laugh as he walked out to take the movement’s final bassoon note as a quirky solo. David Reichelt’s clear, penetrating oboe was a highlight of the second movement as were clarinettist Lloyd Van’t Hoff and hornist Rachel Shaw’s solos in the Adagio. The whole ensemble brought a crisp momentum to the work, the fast interlocking parts working like clockwork and the motoring finale throbbing with energy. Bassoonist Matthew Kneale demonstrated a vibrant athleticism on his instrument in the first movement of Alexandre Tansman’s Sonatina for Bassoon and Piano, joined by Farid on piano. The second movement Aria allowed him to show off a more lyrical side before a giving a performance bursting with energy and rapid-fire articulation in the Scherzo. The highlight of the first half, however, was a performance of Britten’s first published work, the Sinfonietta for Chamber Orchestra – a wind quintet (Arcadia Winds) plus a string quintet (Marianne Broadfoot, Kerry Martin, Jacqui Cronin, Macneish and Kees Boersma). The ensemble created a sound both lush and richly detailed, the variations of the second movement providing an abundant interchange of ideas while the Tarantella was bustling and feverish, the expansive sound of the full ensemble unravelling into dextrous individual lines, accumulating again to build to a raucous climax. A trill from Farid’s piano opened the second half, Amy Dickson tracing smooth lines on soprano saxophone above his burbling tremolos in Graham Fitkin’s Minimalist Gate. Dickson’s sound had an elastic flexibility as she alternated spiky attacks with mellower lyrical passages in a fascinating exploration of texture. Husband and wife team violinist Pinchas Zukerman and cellist Amanda Forsyth presented the only wind-free work on the programme – a slightly trimmed and rearranged version of Reinhold Gliére’s Op. 39 Duo for Violin and Cello. Of a generation just older than Shostakovich and with a naturally conservative approach to composition, Gliére was never accused of ‘formalism’ and indeed his duos, written in 1909, sound older than they are – the Gavotte is basically a pastiche – but they are nonetheless beautiful and Zukerman and Forsyth created a rich, warm sound throughout. The Impromptu had a dark folky feel while the Scherzo – which the pair used as the finale, having cut the Etude – was both and stately and brightly energetic. Arcadia Winds clarinettist Lloyd van’t Hoff brought the concert to a close with a spirited performance Nigel Westlake’s quirky Rare Sugar – a single-movement clarinet concerto for which van’t Hoff was joined by Farid, Boersma and the Goldner String Quartet. The sound of bows bouncing off strings gave the work a woody, percussive energy, the work full of lurching syncopations, vibrant clarinet flourishes and a jazzy momentum underpinned by Boersma’s plucked bass. Quieter moments – van’t Hoff’s clarinet emerging in and out of nothingness over crystalline piano chords and milking the silence and space of Verbugghen hall in his cadenza – gave way to bright, sweeps of melody and driving rhythms, the piece culminating in a virtuosic frenzy of notes. While this programme may not have had the clean unity of Concerts 1 and 2, the array of moods, styles and musicians made for entertaining listening and a chance to hear the unique individual styles of a number of the Arcadia Winds musicians – all of whom proved as impressive as soloists as they are ensemble members. 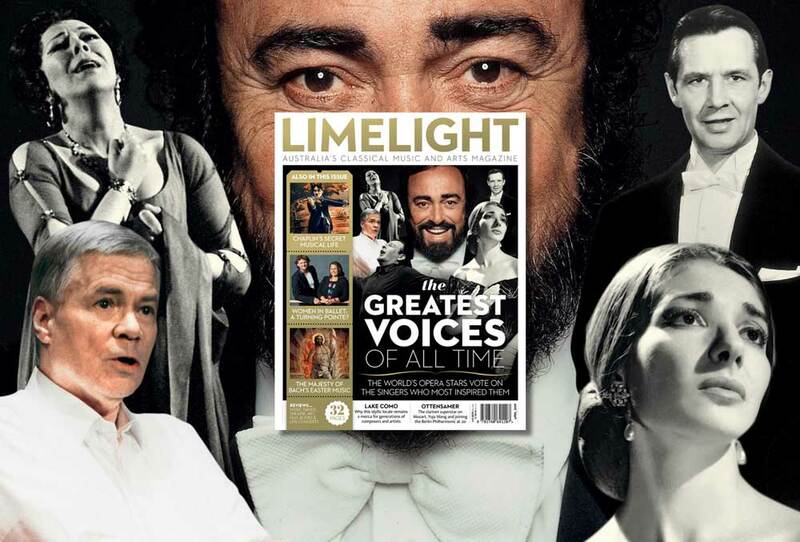 The irrepressible mezzo tells us about her latest album, Antonio Vivaldi, Limelight's Recording of the Month in March. Bartoli’s back with a new tribute to the Red Priest. Carl Vine’s final season for the Musica Viva Festival is a study in contrasts. We talk to the outgoing Artistic Director about his legacy, an exciting new octet and one tantalising Trout. Australian Heldentenor du jour commits signature works to disc. Does this treasured Christmas tradition need a little more TLC? The orchestra achieved a stunning level of power in Dvořák's Ninth. 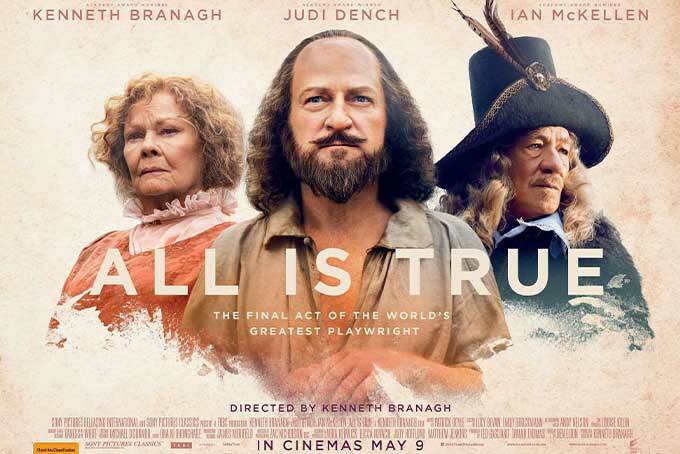 A dream cast, sublime design, charming music and assured direction deliver a delightful end-of-year Shakespearian romp. An imperfect realisation of Wagner’s comedy, but the music making more than compensates. Acclaimed soloists join forces for a program of musical brilliance and passion. This new commission gives an old story an entertaining makeover with style-hopping music, comedy and feminist attitude. Zahra Newman commands in this keen dissection of grief. This adaptation of Atwood's novel is the best of the bunch at this new opera festival. Anchored by Kate Mulvany's terrific performance, this is a show that speaks directly to our troubled, complex times. Gluck’s Orfeo gets an Italian accent courtesy of Diego Fasolis. First recording of a Vinci opera preserved, all thanks to Handel. A freewheeling line-up of guest conductors and concerto soloists will keep the orchestra on its toes in its year between Chiefs. 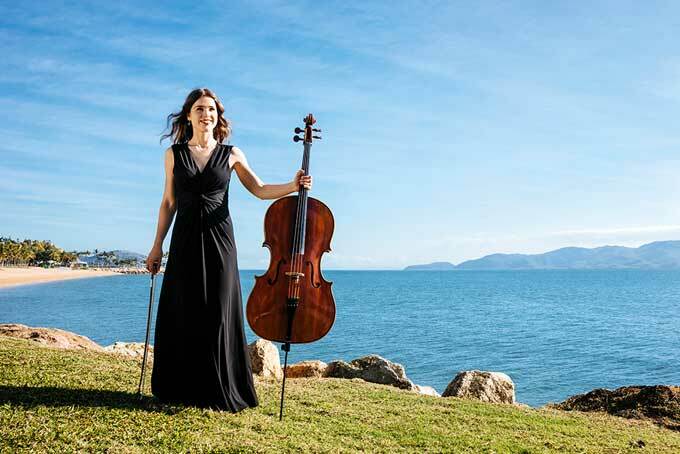 Subscribe, gift or renew this month and you could win a Festival Holiday Package to the Australian Festival of Chamber Music. The greatest voices of all time. Why women in the ballet industry are at a turning point. Charlie Chaplin's secret life. Andreas Ottensamer. Bach. Enter to win tickets to the latest productions around Australia and films on the big screen. 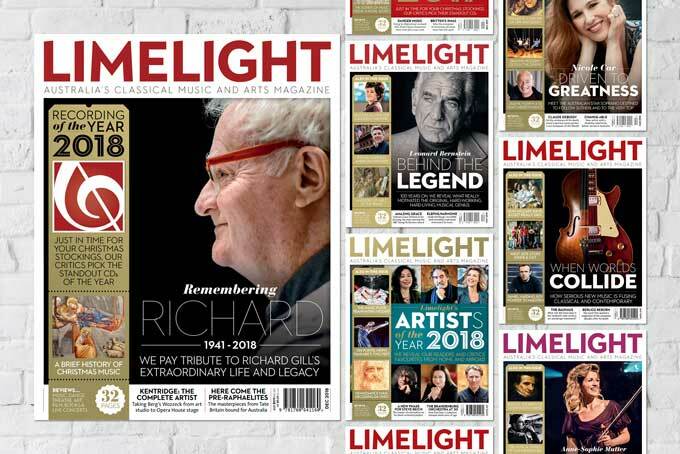 Missed an issue of Limelight? 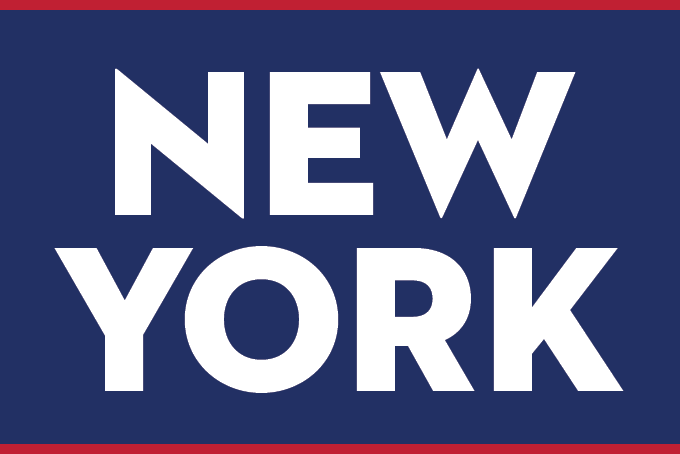 Subscribe to gain access to our digital archive of back issues. 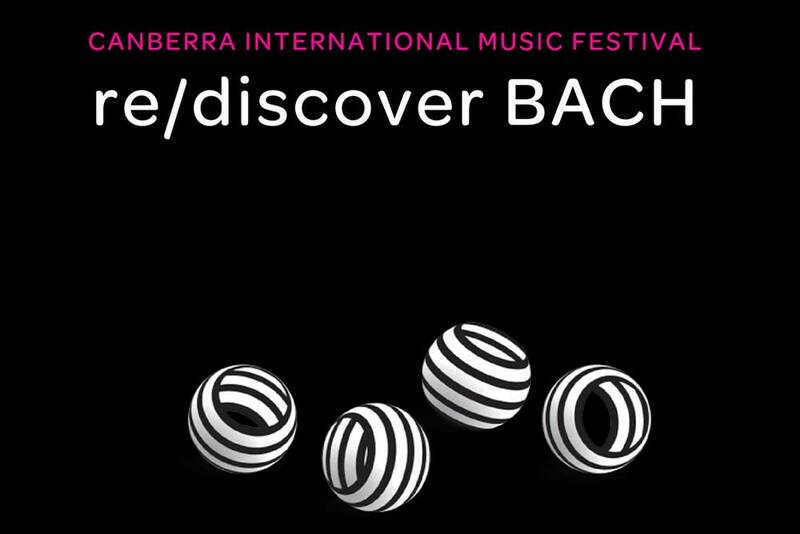 Read our complete coverage of the Canberra International Music Festival, May 2 – 12. From the glamour of the Met and the buzz of Broadway to classical music hideaways and, yes, even some free stuff, Limelight’s insider guide aims to be everything an adventurous cultural tourist needs.